Vivienne Westwood Mainline jacket in amber and grey tartan. 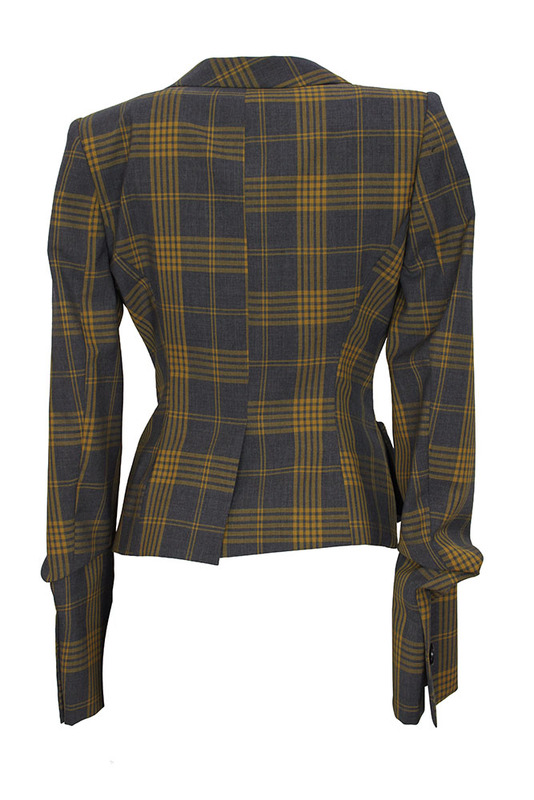 Introducing the Westwood warped tailoring, Large doubled layer, double collar and lapels. 3 button fastening. 2 folded fabric pockets. Large single button cuffs. Fitted with single vent at rear. Fully lined in purple fabric with writing. 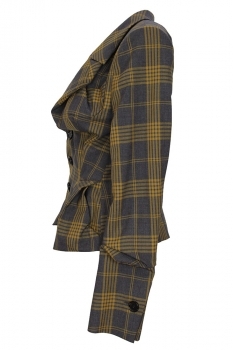 Matches the trousers in the same fabric to create a wonderful suit.